Montana State University School of Art and the Helen E. Copeland Gallery invite the public to the premiere of “here we are”, an MFA thesisi exhibition by artist Emily Browne. Browne’s thesis exhibition comprises large-scale figurative drawings created for the completion of Ms. Browne’s degree of Master of Fine Arts at Montana State University – Bozeman. The work address ideas of relationships, memory, familiarity and space. The exhibition dates are Monday April 4 – Friday April 8, 2011, and it is free and open to the public, Monday through Friday, 9:00AM – 5:00PM. 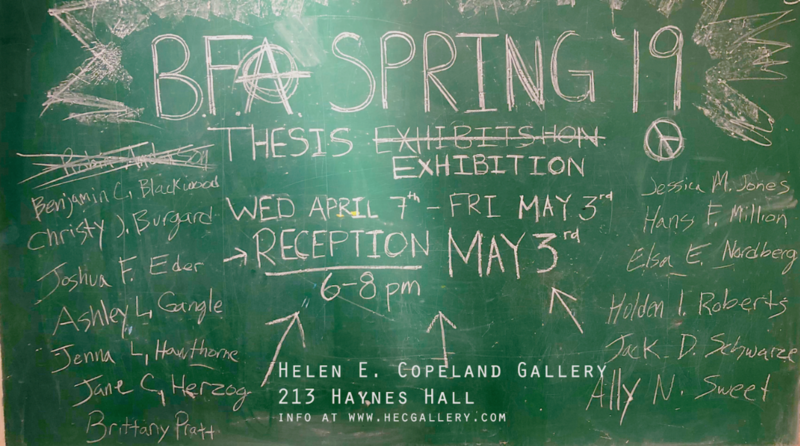 There will be an opening reception on Thursday April 7 from 7:00 – 9:00 PM. The Helen E. Copeland Gallery is located within The School of Art’s Haynes Hall, on the second floor. Previous postEmily Browne – here we are.